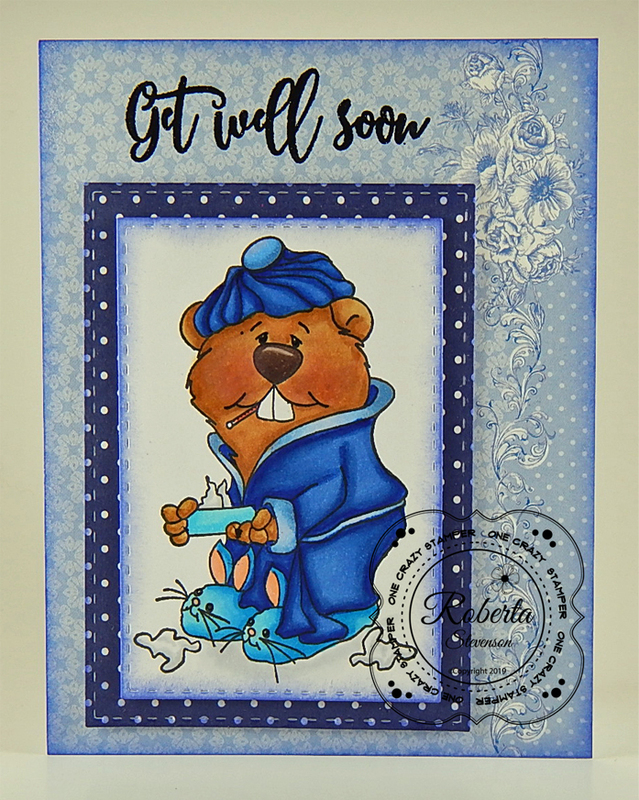 Today is Wednesday and I’m back to share this little gopher who is feeling a little blue right now from the new Get Well Soon collection. 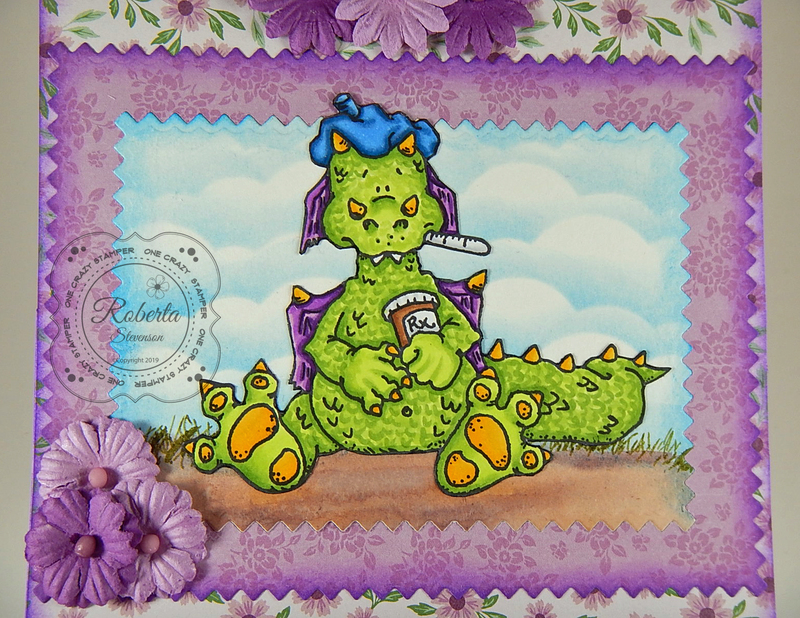 The stamp I’m featuring is called Take A Tissue (High Hopes Rubber Stamps) and the sentiment is Get Well Soon Script 2 (High Hopes Rubber Stamps)! Today is Wednesday and I’m back to share this adorable little gopher nurse in a tea cup to cheer up your friend, who isn’t feeling so great right now from the new Get Well Soon collection. 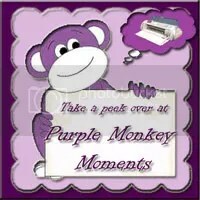 The stamp I’m featuring is called Gopher Tea Nurse (High Hopes Rubber Stamps) and the sentiment is Think Happy (High Hopes Rubber Stamps)! 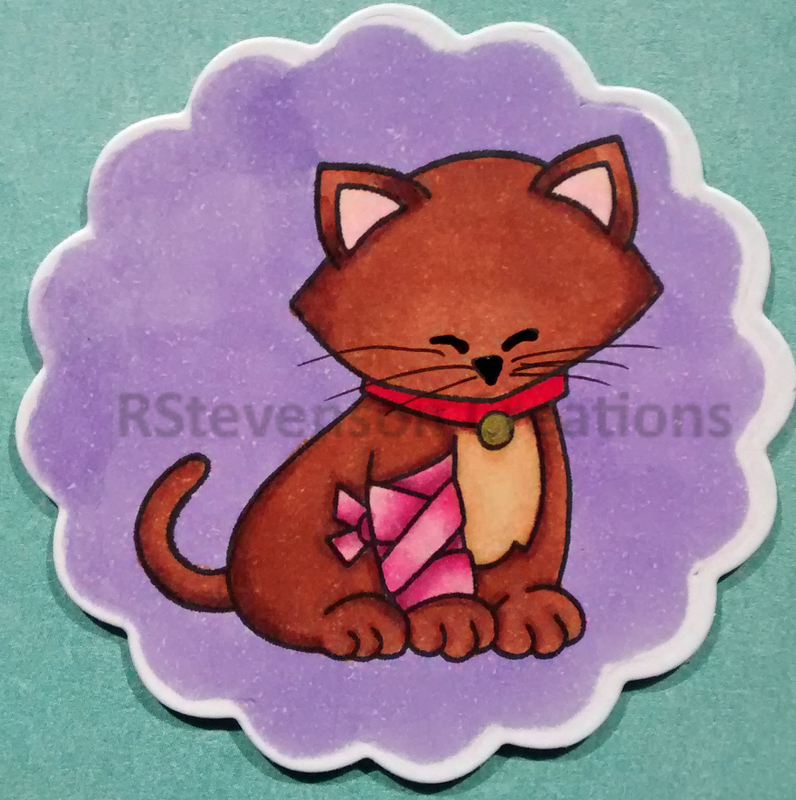 I die cut some Copic Marker X-Press It Blending Card using my Cuttlebug and Spellbinders – Labels 10. Using my MISTI, I stamped the image with Memento – Tuxedo Black ink. Next I coloured in the image with a mixture of Copic markers and PrismaColor Pencils. To get the crisp white edge around the image, I repositioned the cut out image back into the die cut and then taped the back to keep it in position. Then I coloured in my background around the image. Once completed, I removed the tape from the back of the die. I die cut a second frame from the same die cut set (Spellbinders – Labels 10) and then edged around it with Tim Holtz Distress Ink – Evergreen Bough using a dauber. 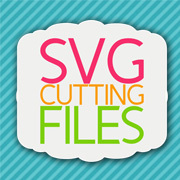 Next, I put the die cut into Cuttlebug – Snow Dots embossing folder and ran it through the Cuttlebug again. I stamped the sentiment using Versa Fine – Onyx Black and then embossed it with Ranger – Clear Super Fine Detail embossing powder. Next, I die cut the sentiment with My Creative Time – Sentiment Label Dies and edged around the die cut with Tim Holtz Distress Ink – Evergreen Bough using a dauber. To complete the project, I edged around the remainder of the card with the same Tim Holtz ink. 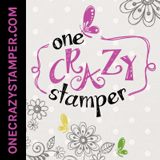 Welcome One Crazy Stamper Fans! 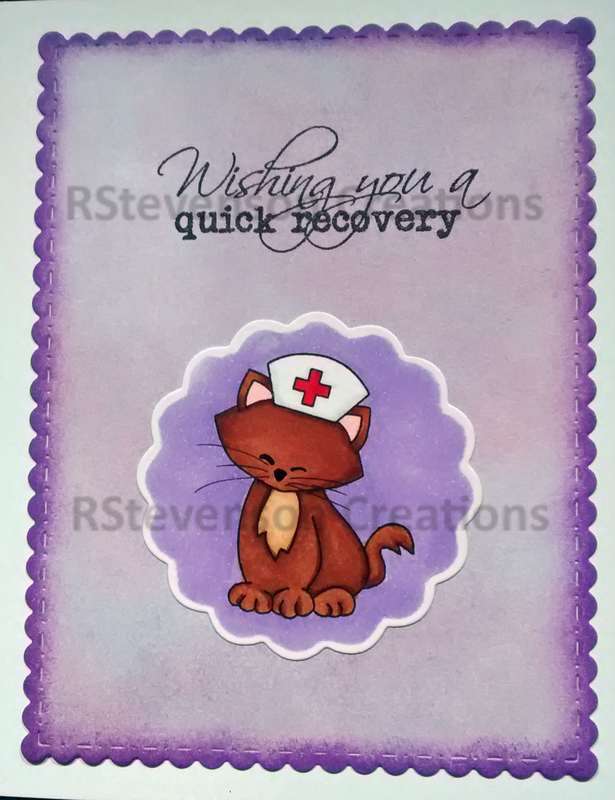 We have a brand new release for Get Well Wishes from High Hopes Rubber Stamps! 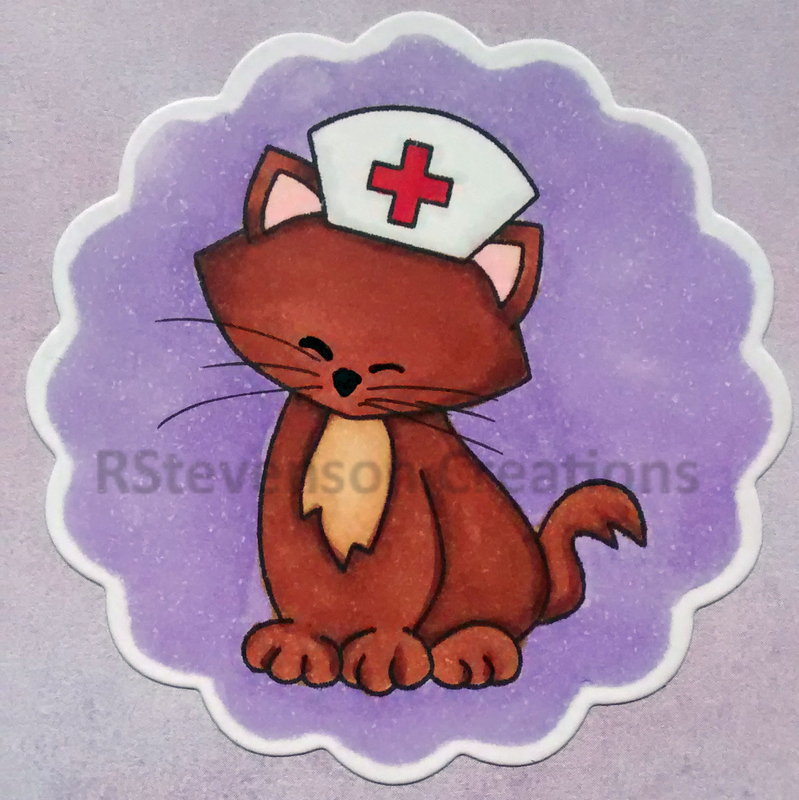 Today I’m sharing what I’m calling the Cat Doctor Is In, featuring “Nurse Kitty” (High Hopes Rubber Stamps) for the image and High Hopes Rubber Stamps – “Get Well Soon Script2”. Anyone who knows me, knows that I LOVE black cats and so I just had to colour this image in the darker colours! LOL! Coloured the image using Copic markers and then used PrismaColor Premier Black pencil to create the fine fur texture. The striped background paper was chosen because it reminded me of the Candy Stripers who used to volunteer at all of the hospitals when I was younger. (Dating myself here! LOL!) Hoping this little kitty puts a smile on someone’s face and cheers them up! 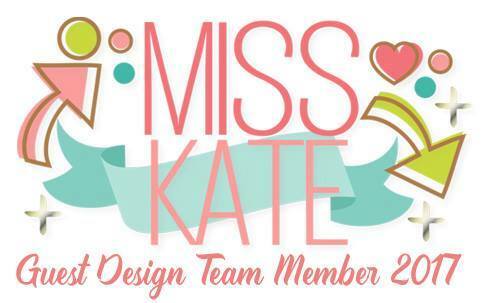 Tools \ Miscellaneous: MISTI (Most Incredible Stamping Tool), Cuttlebug, 3M 2 sided tape, Ranger Embossing Powder White – Extra Fine Detail, Marvy Heat Embossing Tool. Made this card for a very sweet lady at club that had a knee operation. I thought this card would cheer her up even though she always seems to be upbeat and happy. Here is a close-up of the kitty. Stamped the images with my MISTI and Memento – Tuxedo Black ink using Newton’s Nook Designs – Newton’s Sick Day stamps and Copic Marker X-Press It Blending Card. 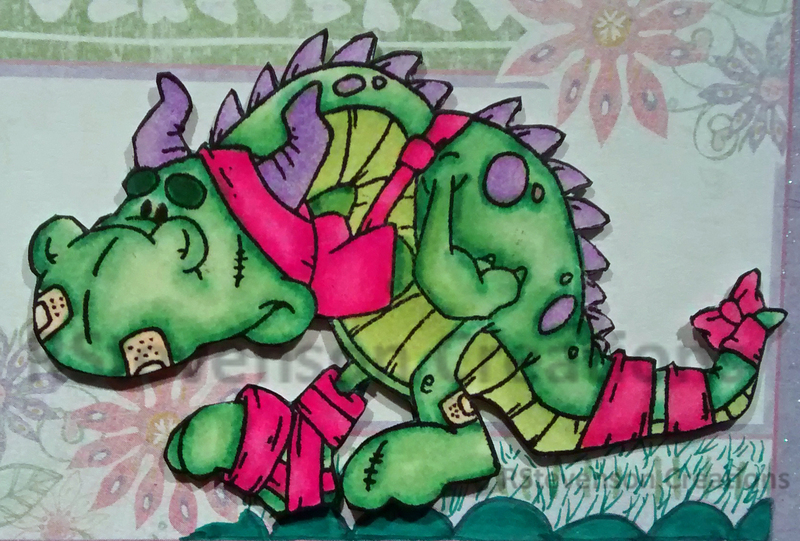 Coloured in images using Copics and Spectrum Noir alcohol markers. 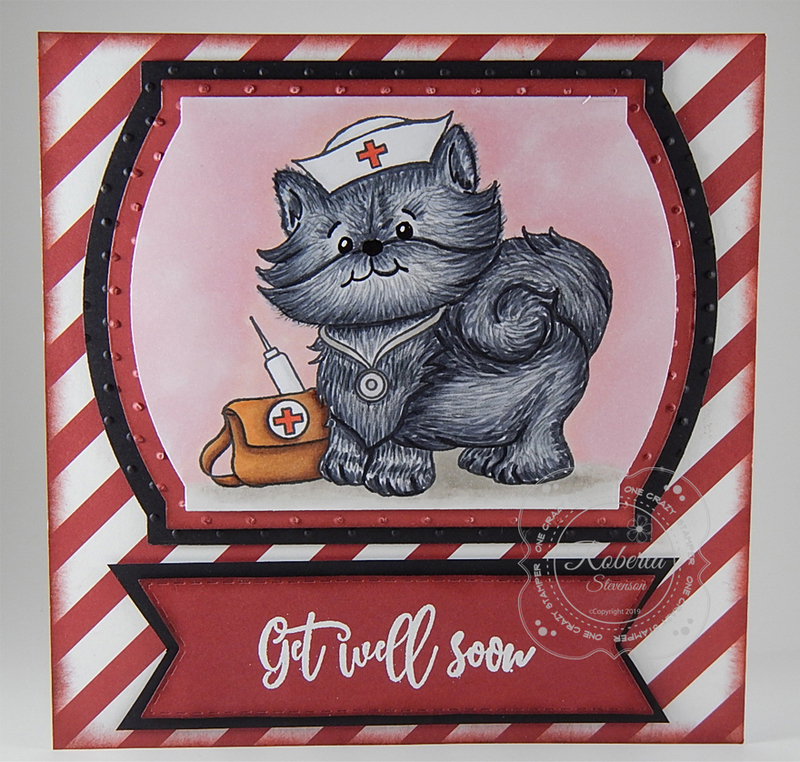 Sentiment on front of card is from Newton’s Nook Designs – Newton’s Sick Day stamps. Sentiment on inside of card is from Craftin Desert Divas – Tissue Time. She liked it, I hop you do to! 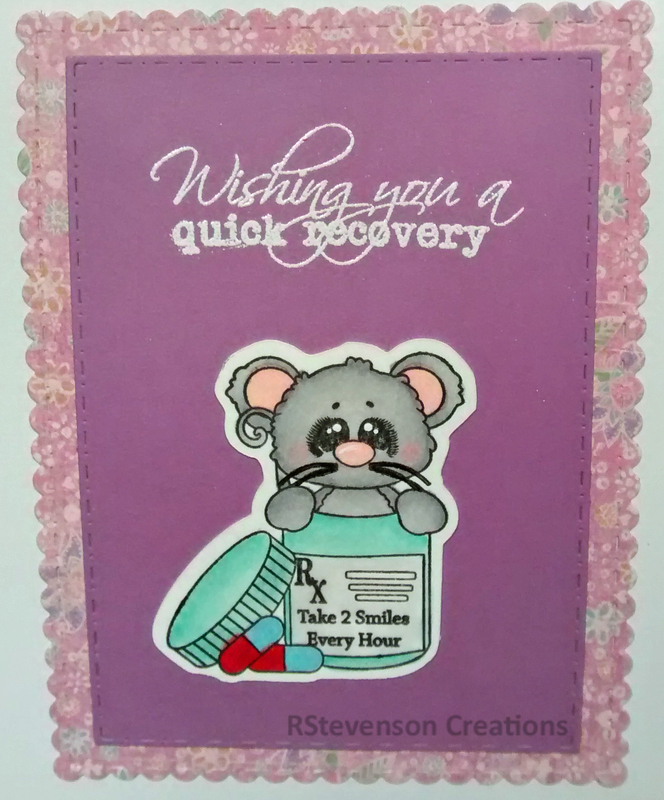 Sharing a get well card I made. 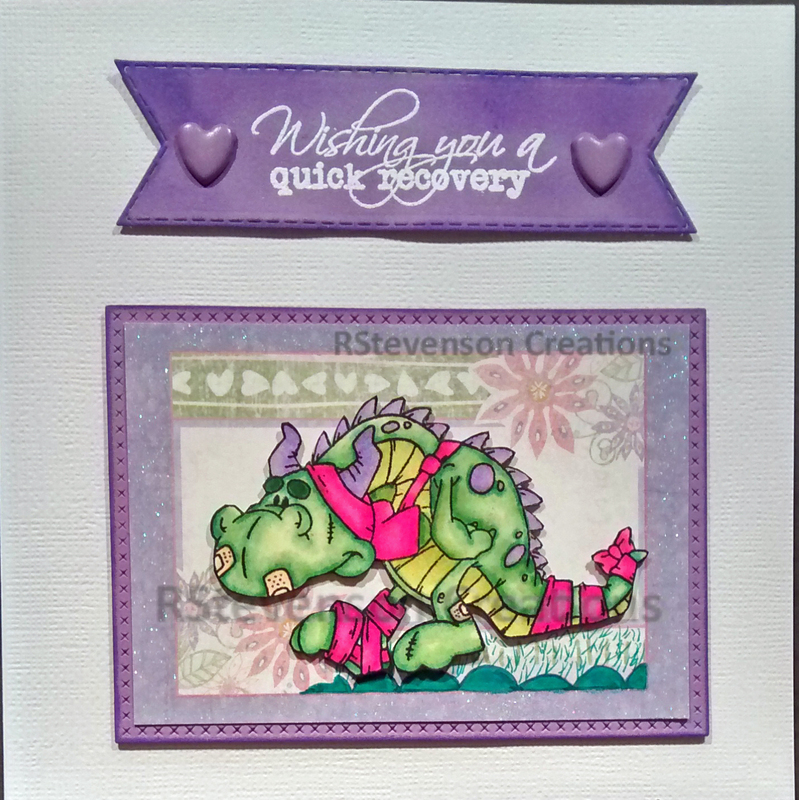 Dragon is from High Hopes Stamps called Troubled Travis S179. 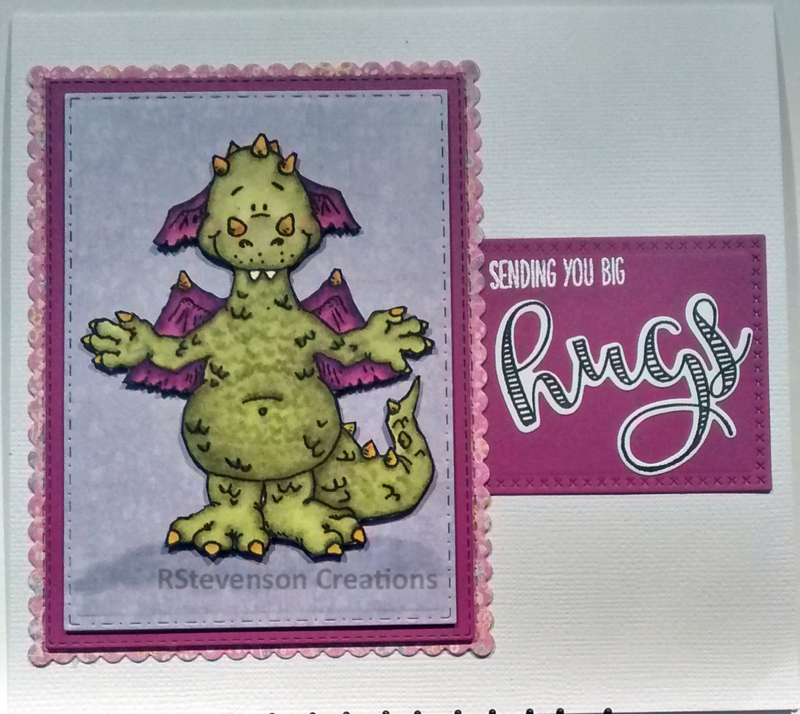 Border around dragon: Die-namics – Exclusive Designs from My Favorite Things – MFT-652 – Cross-Stitch Rectangle ST. Horns and Spikes: HB1, HB2, HB3. Here to share a get-well card that I made. I just LOVE how this turned out! I hope you will too! 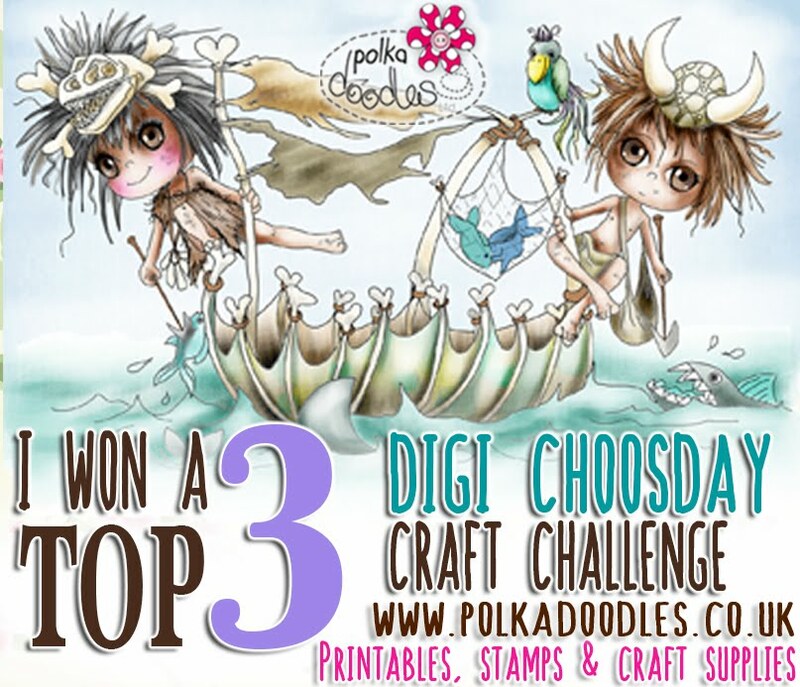 On the front of the card, I used Huggable Hank S109 by High Hopes Rubber Stamps as the main character. 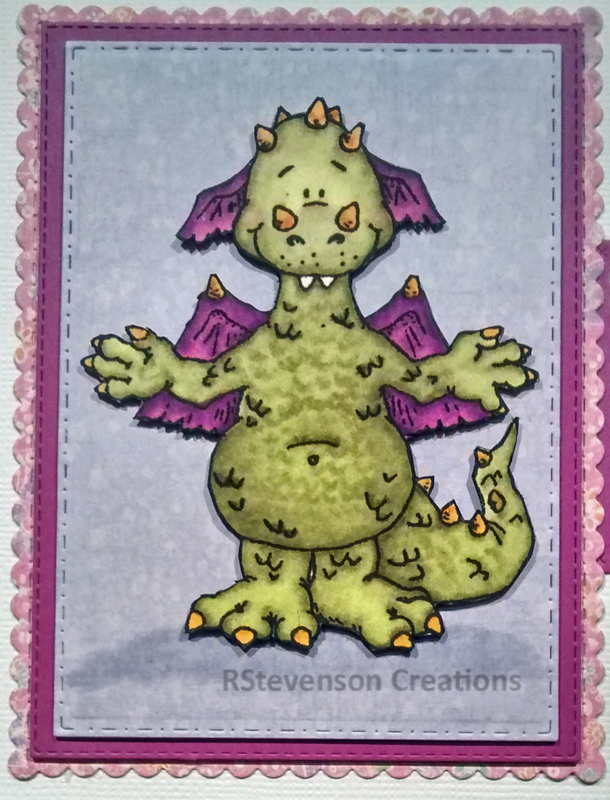 To colour him in I stamped the image with Memento – Tuxedo Black ink and then coloured him in with Spectrum Noir Markers. Used a mixture of Craftin Desert Diva’s Fancy Frames and My Creative Time -Stitched Rectangular Frames and More – for the backgrounds and then popped him up on them. Patterned paper used was: Kaitlin – Recollections Signature (12 x 12″ paper). 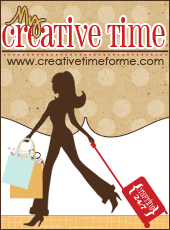 For the sentiment, I used stamps and die cut from My Creative Time – Fun Notes. 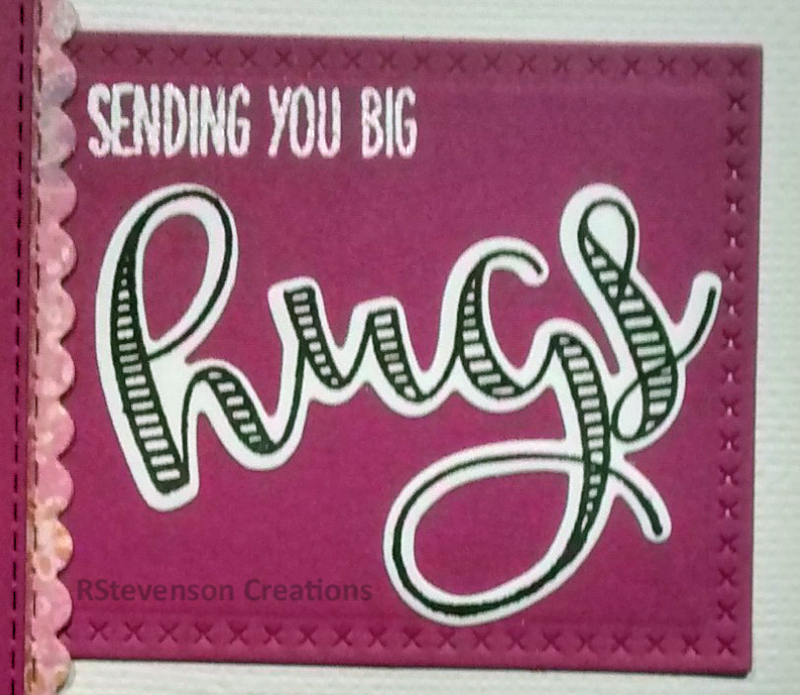 Used Top Boss Clear Embossing Ink and Ranger Embossing Powder White – Extra Fine Detail for the “Sending you Big” and Memento – Tuxedo Black for the “Hugs” portion. 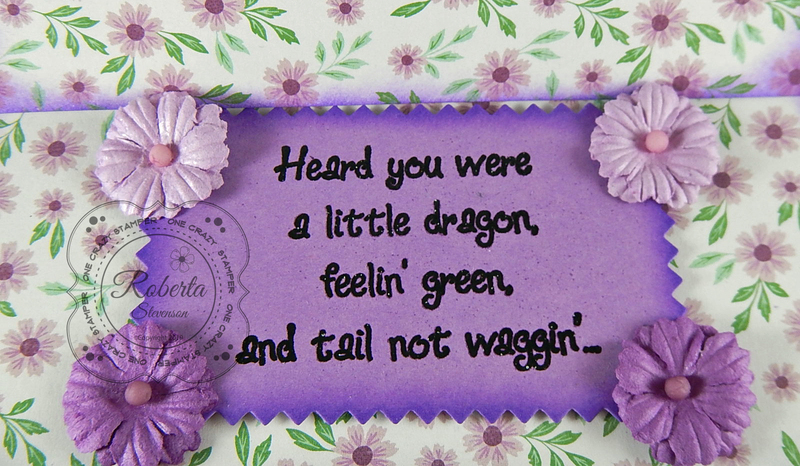 For the inside of the card: I used the little mouse and sentiment from Craftin Desert Divas – Tissue Time. I just think it is so adorable and have used him on several cards now. Stamped the sentiment and image with Memento – Tuxedo Black ink and then coloured in the image with Spectrum Noir Markers. 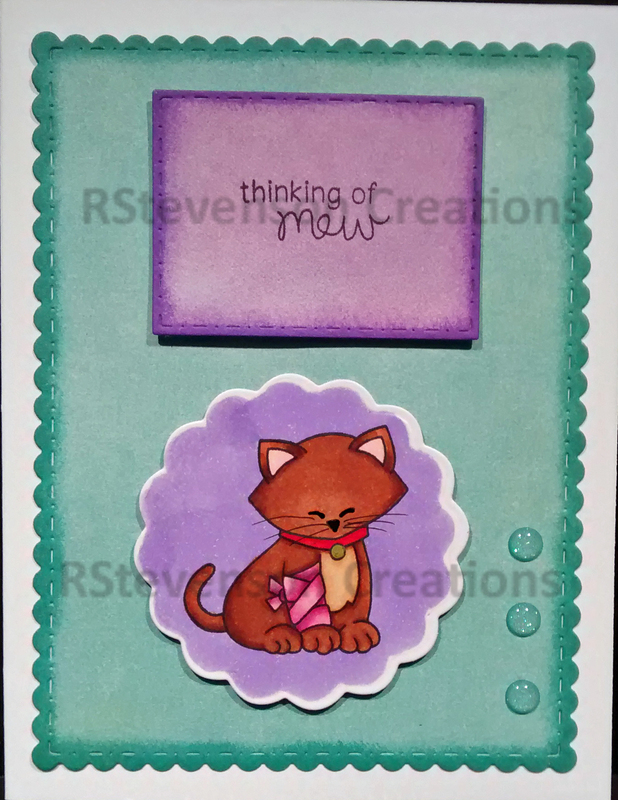 Background was cut from Craftin Desert Diva’s Fancy Frames and used the patterened paper from Kaitlin – Recollections Signature (12 x 12″ paper).